· What’s different on the exterior? 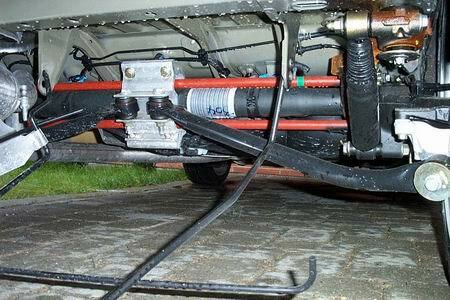 · What’s different underneath the car? · What’s different inside the car? After changing from a MY00 206 S16 (DK-spec XSi (1.6 16V)) 3-door to a SW GTi MY02 in November last year and have driven now just over 12000km, and I think it’s about time to say something about it. Since there are enough reviews regarding the “normal” GTi’s, I will mainly comment on the extra bits of the SW.
What’s different on the exterior? From the front towards the B-pillar there are no differences, apart from the fact that the 5-door versions including the SW have shorter front doors. This is something you’d have to get used to as a con, but also as a pro. While coming from a 3-door 206 and accustomed to the 1-meter doors, I used to hit (with my 1m93 length) the B-pillar with my arse or back, because that one has “moved” forwards with a 5-door version by 15 cm. The positive thing is that the chance of hitting something else (a car, a wall) when totally opening the door is a lot smaller. 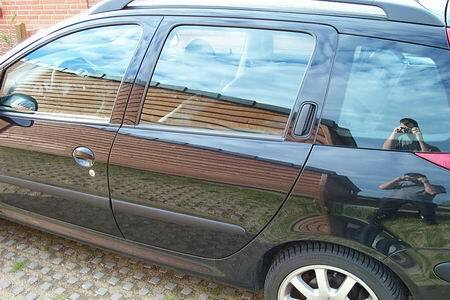 My previous S16 did have some chips of paint missing on both of the doors, due to careless passengers. Even after my “Watch the doors!” I was hearing an expensive “donk” as they opened the door. And because they left the door as it was scraping the wall, that same wall nicely treated the paint-job even more while they were getting out. 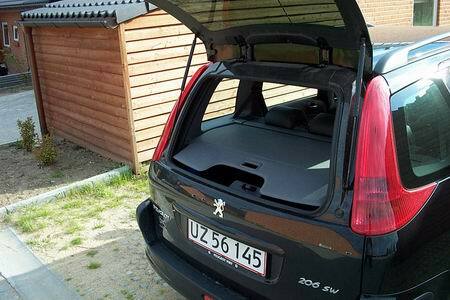 The rear doors are different from the normal 5-door versions, this because, instead of a downwards-sloping roof towards the rear, the SW’s roof remains more horizontal over the rear doors. The (electrically powered and slightly more tinted than the front-) windows do not to go down all the way, because of the cut-out needed to “avoid” the rear wheel well, so they remain 10 cm opened. The exterior rear door handles are positioned in the C-pillar instead of on the skin, like on the front doors. Including the SW’s (SportsWagon’s) name this feature is very well stolen from the Alfa 155 (SW) and it gives the 206 SW a more sporty appearance instead of the appearance of the typical family people mover, like the 307 Break/Estate/SW, 406 Break and the truck-load of other brand’s Stationwagons. Moving more towards the rear, between the C and D pillar, there are the typical Stationwagons 3rd row windows, and these are even more tinted than the rear door’s windows. The lengths of these are unprecedentedly short for a Stationwagon: only 50 cm in length at the lower and 40 cm at the higher end. The rear light clusters are big: they cover like a boomerang the complete D-pillar and point forward for half the length of the 3rd row windows. The basic colour of these is (obviously) red. The rear window is the darkest of them all, preventing individuals from having an unwanted quick peek. 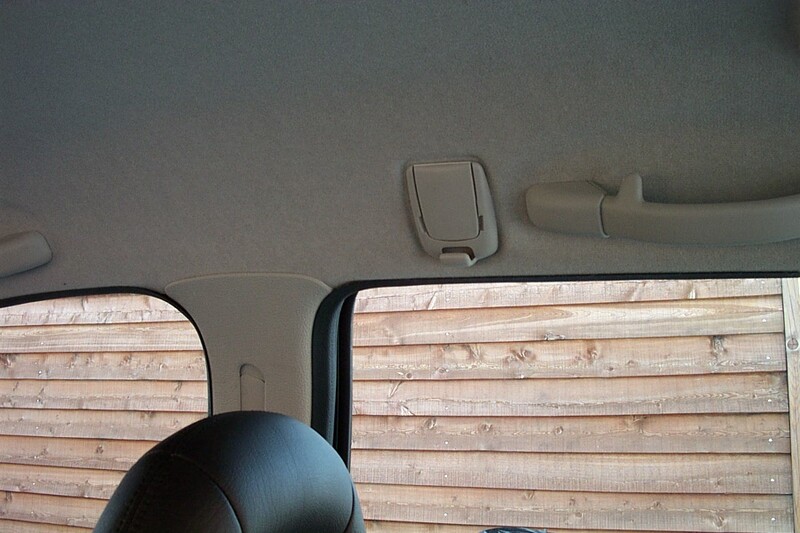 A nice feature is the possibility to only open the rear window, separately from the rear boot door. The locks, or better the switches, for the rear door and the rear window are positioned under the registration plate lights: one in the middle for the door and one on the right for the rear window. If you have unlocked one, it’s impossible to unlock the other. 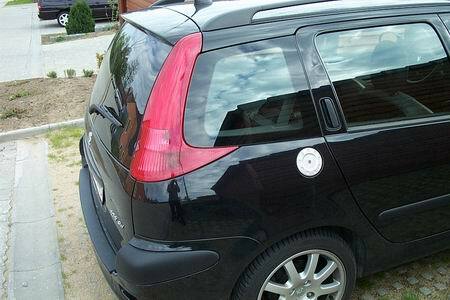 Another smart feature is the fact that the rear window can be unlocked from a distance by pressing the unlock-button on the remote key for two seconds. The An integrated plastic rear spoiler hides the Siamese hinges. 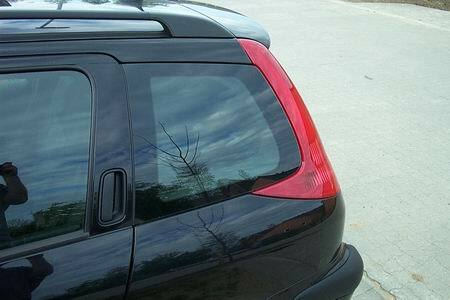 A bulge on the The rear wiper is used as a handle to open the rear window. The reflectors are positioned deep in the low rear bumper, the rear fog light is still in the middle and the exhaust-tip is hidden; there is no cut-out made for this in the bumper. The overall length of a SW is only 200 mm longer than the length of a normal 206. The rear badge is up to MY03 specs, it’s separate thus not integrated with the body coloured registration-plate lights/door switch cover. A SW comes standard with black roof rails and a set of transverse rails is available at Peugeot in order to make it a functional roof rack. What’s different underneath the car? From the front of the car to the rear axle is things are mainly the same as the normal 206, except the slightly stiffer springs, shocks, and a Ø21 mm anti-roll bar on the front axle. The SW rear axle is significantly different from the normal 206: Two ties are added between the suspension arms and meet in the middle onto a cast alloy stay, wrapped around the axle body. It comes with Ø20 mm spring bars, a 22 mm anti-roll bar and stiffer shocks. This layout set-up was originally designed for the 306 Maxi by Peugeot Sport and is, next to the SW, now also used in the 206 RC/GTi180, which was introduced in France halfway into 2003. 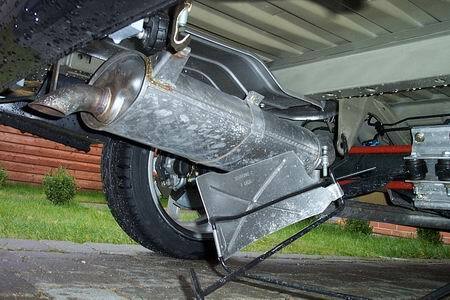 Because of the more volumetric rear axle, the routing of the exhaust around the rear axle is different from the 206, which ends (as said before), “invisible” pointing 30° downwards, up to 10 cm in front of the rear bumper. 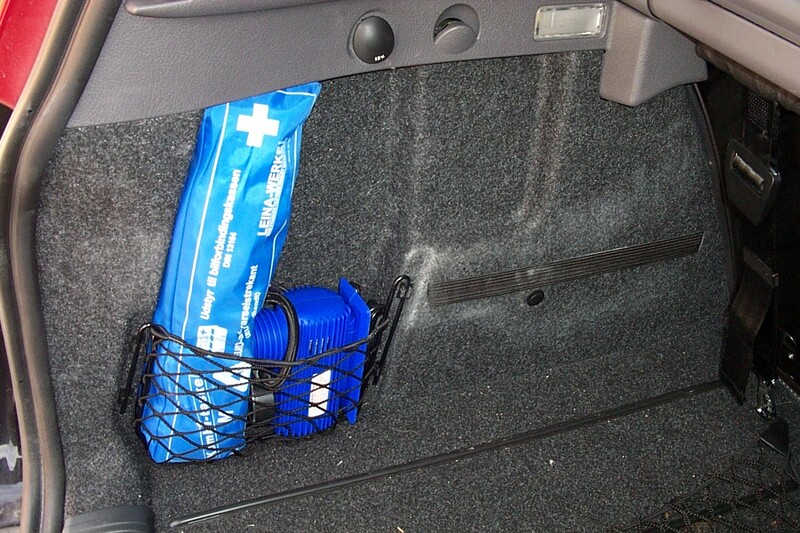 The emergency wheel still hangs in a cradle under the car and is a narrow, weight saver. The jack is the standard GTi scissors type. What’s different inside the car? There’s not that much difference in the interior, apart from it being an unusual GTi / 5-door mix, at least until the C-pillar. 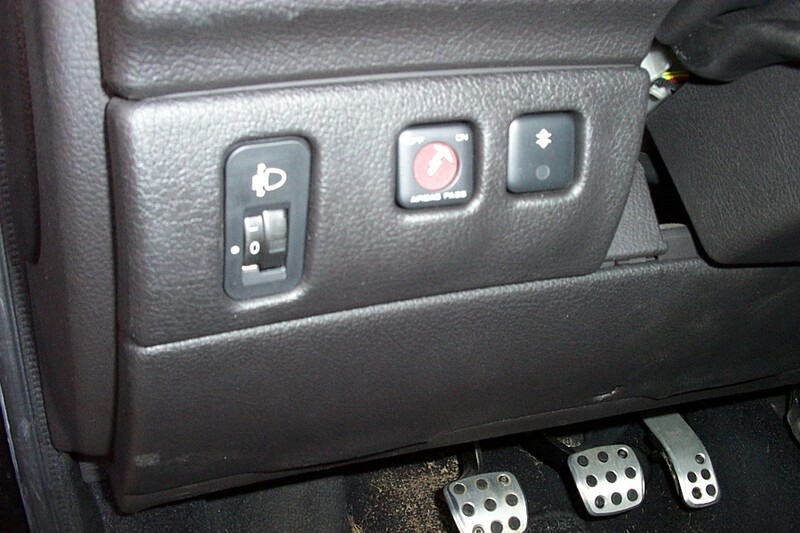 The rear windows are motor driven, with the switches between the front seats. 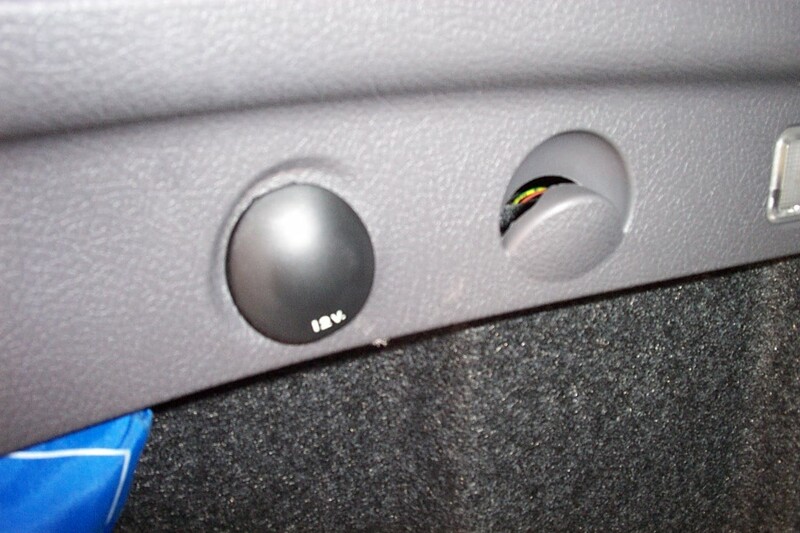 And when necessary they are possible to be turned off by means of a switch on the dashboard. 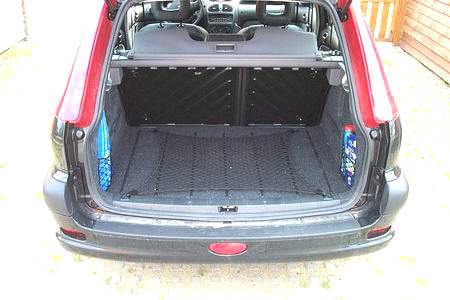 When the rear door is opened, one can see that the boot is completely covered (no naked steel) and supplied with a baggage-net (which can be hooked onto the rear seats backrest or to the floor). This has been used in the normal 206 versions before. Behind the rear seats it’s possible to mount the (in DK standard) vertical “dog net”, preventing baggage stowed in the back from being thrown forwards in case of an emergency stop. 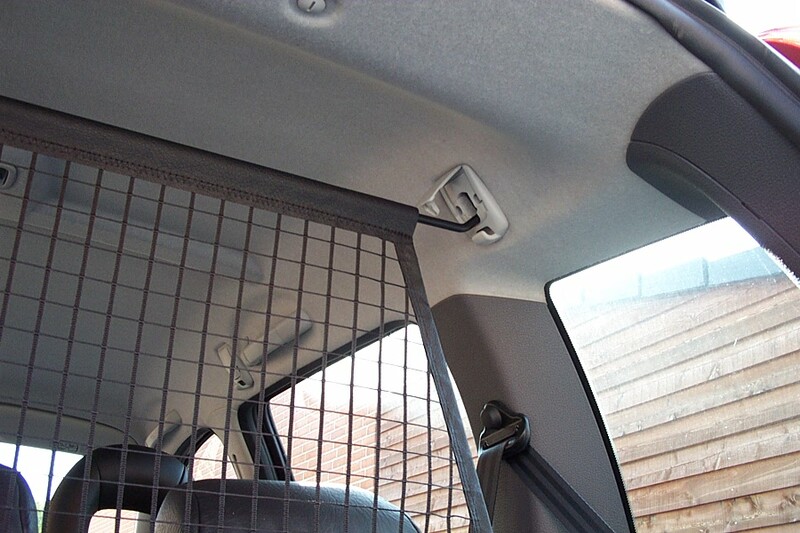 The net brace is hung down from the roof with the help of two holes, left and right, near the C-pillar and which can be covered neatly when not used. 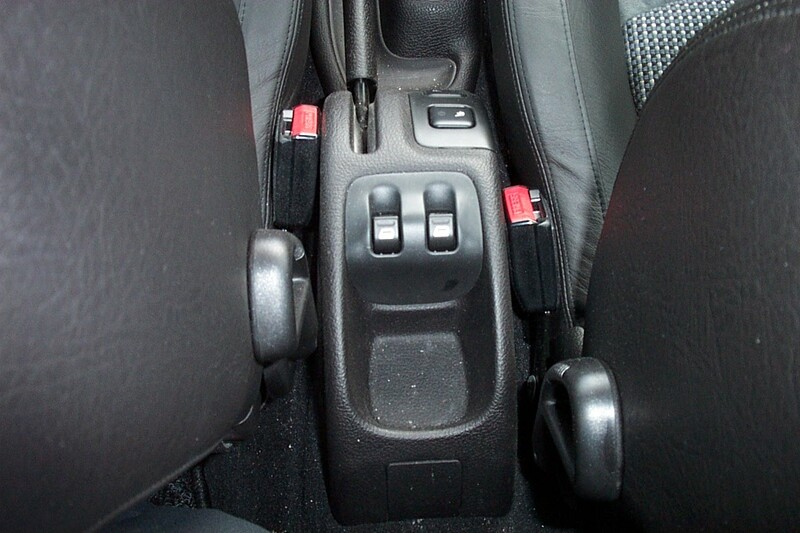 On the lower end it’s fixed with two “seat-belts” into hinges on the floor. 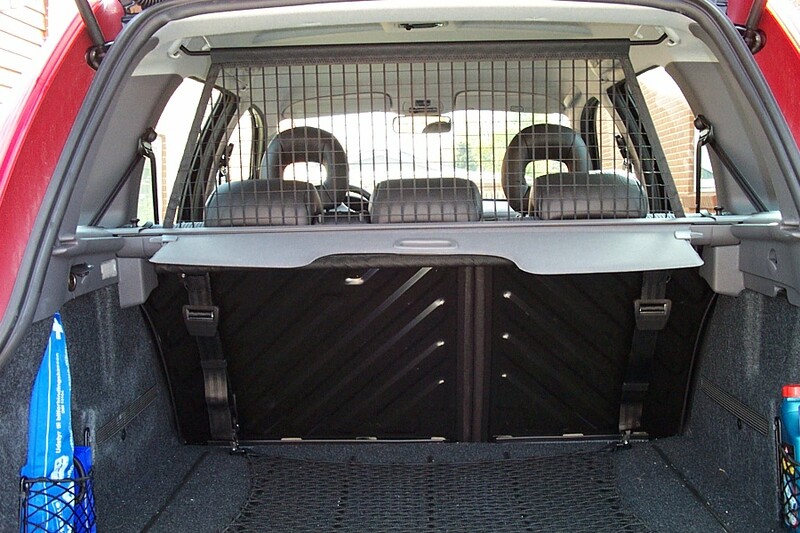 It is also possible to put the vertical net up just behind the front seats, when the rear seats are folded down and the car is used as a temporary workhorse. In that case the two positions near the B-pillar can be used for the top mounting and the front seat belt sliders to hook on the lower end. Left and right under the 3rd row windows are solid hooks in the mould, where one can hang on hang plastic shopping bags, a very handy feature, as simple as it is. A 12V power supply is positioned next to the right-hand side bag-hook. 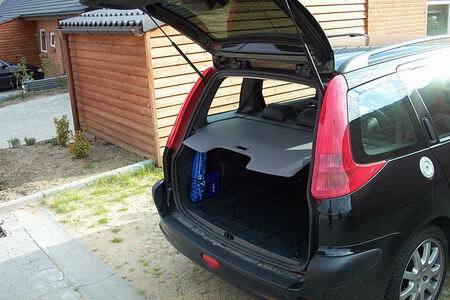 The baggage compartment can be shut by means of a cover (commonly used in Stationwagons), and can be pulled out of a transverse mounted roller case and hooked on the inside left and right, near to the rear light clusters. 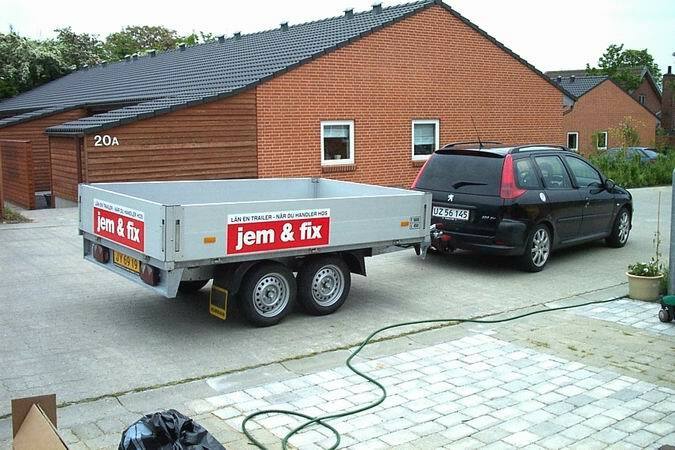 Left and right behind the rear wheel-wells are two little netted compartments to store smaller stuff, like a First-Aid kit, an air compressor, or the eventual a removable tow-hook. On the rear wheel wells are elastic bands fitted to store even more (fx. maps). 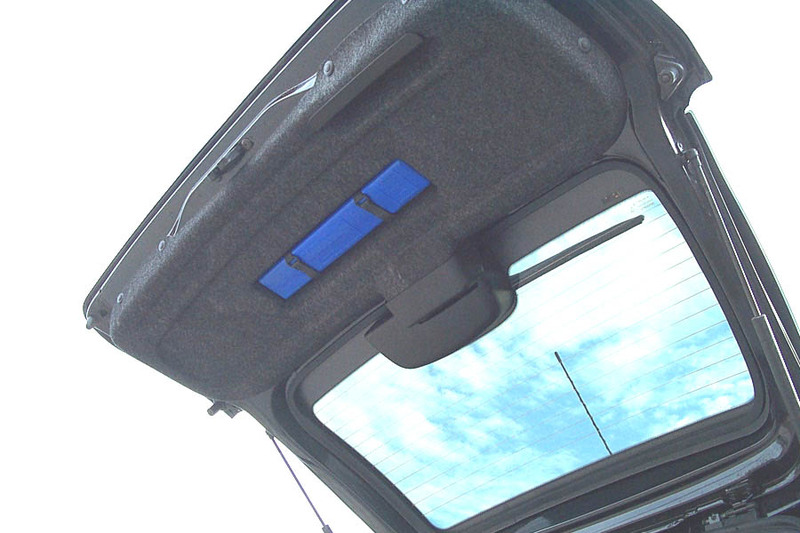 There’s an extra interior light in the roof over the rear seat between the C-pillars. And there’s room made for the reflector triangle in the lower part of the rear door. First impression when driving the car is that it is very quiet, quieter than the S16. 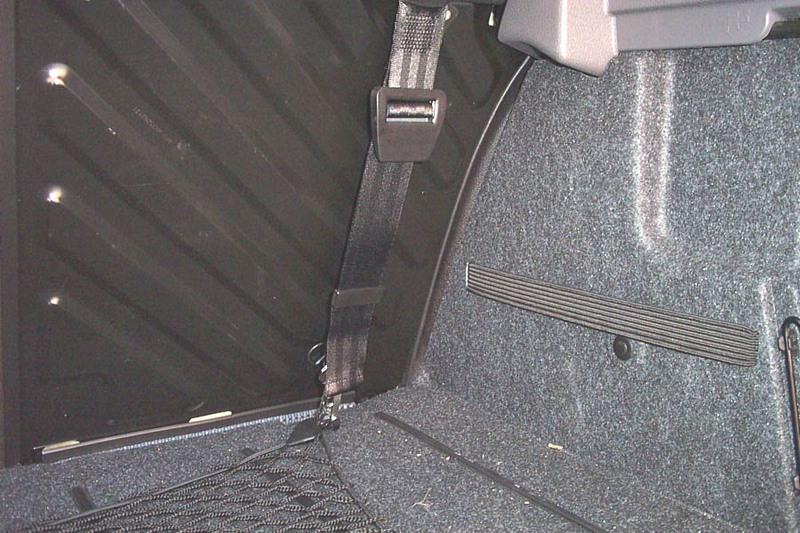 It seems there’s extra padding used throughout the car to prevent too much noise from coming into the interior. The second thing is that the SW drives a lot more firmly than my previous car. The rubbers of the rear suspension are not as soft as from the normal 206, where it’s done to give the car a bit of a steering rear (and making it sometimes a bit too tail happy). To loosen up the SW’s tail, Peugeot has mounted a stiffer anti-roll bar, and this solution gives the rear of the car a bigger slip angle, instead of a rear axle that steers on flexing rubbers. As a result, this construction makes the SW (like I already said) much more stable at high (-er) speeds, and at the same time more controllable in a 4-wheel drift. Would I buy the car again? Yes, without any hesitation: It’s the most practical, yet entertaining car I’ve ever been able to afford to own. It’s certainly worth its money if one is looking for a family car, and when daddy wants to have a go with it once in a while.